NFL On Location is your one-stop shop for your trip to the 2019 Mexico City Game. 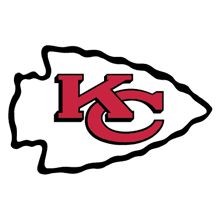 Join fellow Chiefs fans to cheer on your team as they take on the Los Angeles Chargers. Get your Official Fan Travel Packages today for this unique NFL experience, and let us handle all of your international travel needs. All experiences Powered by PrimeSport, a division of On Location Experiences. Space is very limited, but you can secure your spot today with a refundable $250 deposit, per person. This no-risk option allows you to hold a spot and receive priority booking status once product details are finalized. Sign up for Chiefs Mexico City packages! Join other Kansas City Chiefs fans for access to the best home and road games of the year! Game tickets, pre-game events, deluxe hotel accommodations, exclusive fan experiences, souvenirs, transportation and more! Check out our great selection of Official Kansas City Chiefs Fan Packages, powered by PrimeSport.